Painted images are highly valued as tools representing the teachings of the Buddha. Buddhist wall paintings representing protector deities line the walls of temples across Nepal and other countries in the Himalayan region. 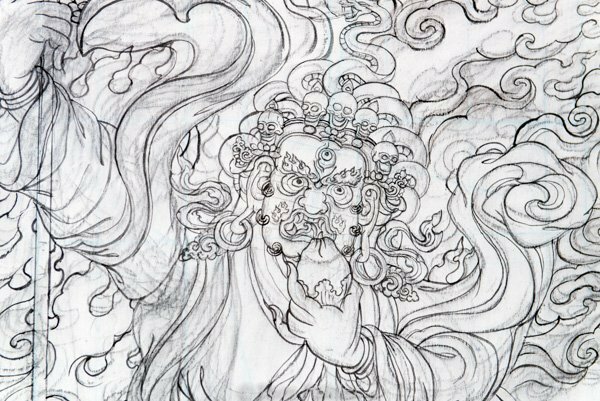 The sketch above is the basis for the first decoration in the sacred center of the Chhairo Gompa in the country’s Lower Mustang Region. Lama Shashi Dhoj Tualachan of Chhairo Gompa is a world-renowned thangka painter as well as a Buddhist monk. He has overseen the gompa’s restoration from the beginning and since 2004, has worked with volunteers from Restoration Works International (RWI). 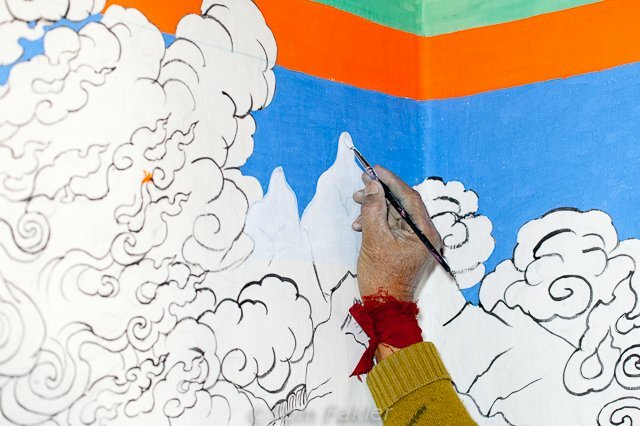 After years of preparation, the fine artistry of Buddhist wall painting has begun. Shashi Dhoj belongs to a family of artists dating back generations. The family has been responsible for many of the sculptures and wall paintings in Chhairo and gompas in the area. 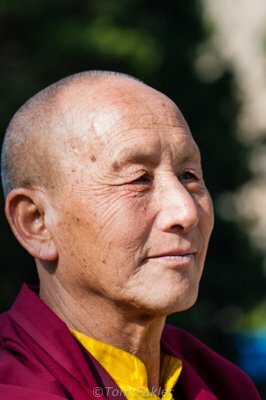 A Tukuche native, Shashi Dhoj was instrumental in the rebirth of the Chhairo Gompa and provides the modern-day link to the ancient Tibetan Buddhist traditions. 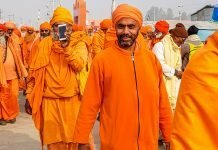 He is also working to establish a traditional Buddhist art center that will provide training to both the monastic and secular communities at the monastery. The wall paintings are done in seven distinct phases: preparing the walls for painting, making the paint, placing the guidelines on the walls, sketching out the designs with charcoal, painting in the main outlines, filling in the outlines with paint and finally, painting in the faces of the deities. Master Shashi Dhoj is personally responsible for sketching the designs and finalizing the paintings. RWI volunteers and Shashi Dhoj’s assistant, his brother Chakra, have provided help with the other steps in the process. 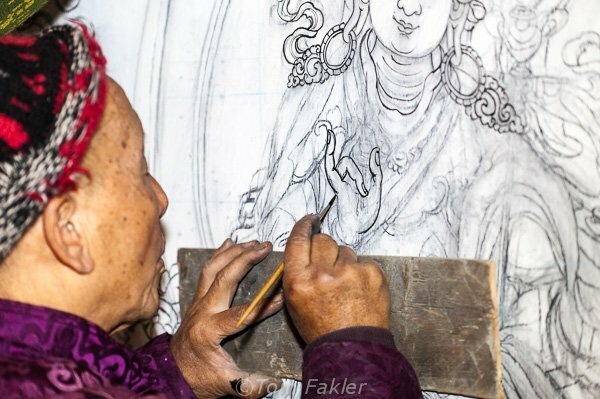 Buddhist wall painting begins with plastering and whitewashing the walls with two coats. Here, a volunteer applies whitewash. After the walls are ready , paint is prepared on-site by creating a gelatin base. 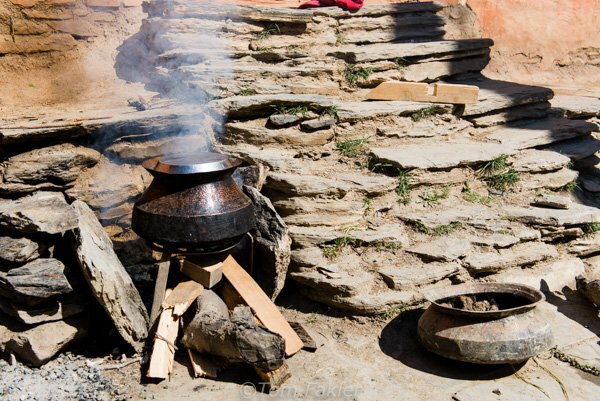 This involves boiling cowhide for several days and straining it to remove lumps. 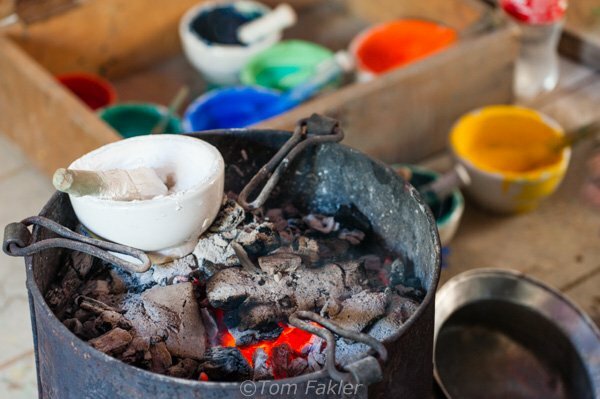 A small pot of each color is mixed until a smooth consistency is reached. This can take up to 30 minutes per color. Because the paint contains gelatin, it must be warmed before it can be applied. While the paint is being made, Shashi Dhoj measures and places guidelines on the walls using a chalk line. 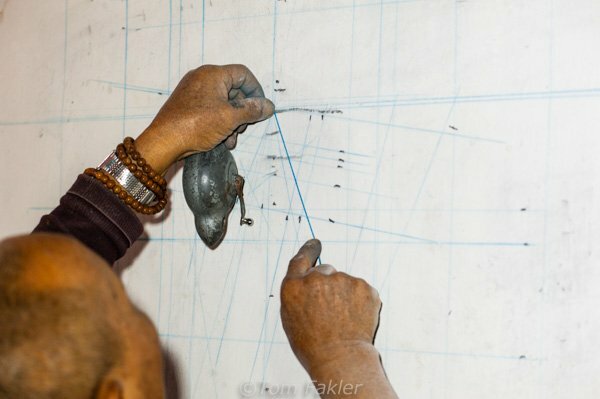 After the guidelines are drawn, Shashi Dhoj begins sketching the base design with charcoal. Shashi Dhoj paints in the outline with a very fine brush, making the outlines permanent. After the outline is painted in, Shashi Dhoj’s assistant, his brother Chakra, fills in with color. This painting decorates the public veranda of a temple in Kathmandu. 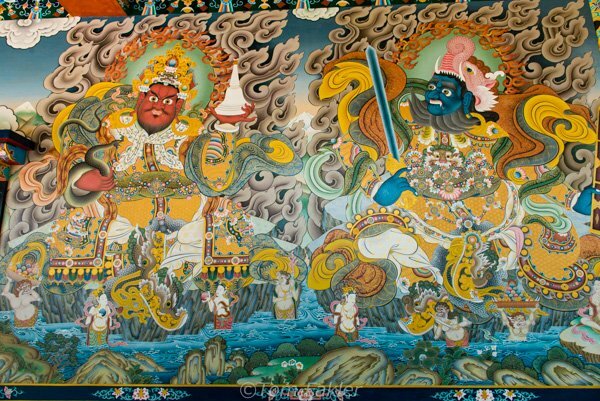 At Chhairo Gompa the restoration work long underway has now reached the stage for bringing the walls of the interior rooms of worship to life with dynamic paintings of protector deities much like these. The final step will be to paint in faces of protector deities. The completed works will eventually cover all four walls of the gompa’s sacred center. Once that is done, only monks will be allowed into this space. Until then, RWI volunteers have a marvelous opportunity to see a master at work. 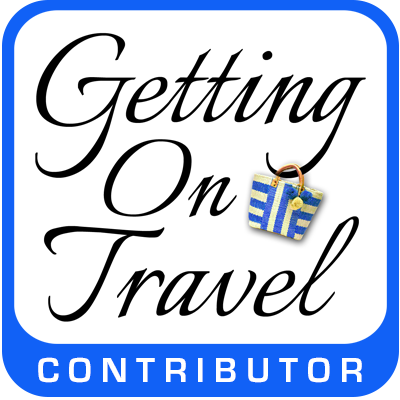 This post is my contribution to Noel Morata’s Travel Photo Mondays on his beautiful blog, Travel Photo Discovery. Take a look! Thank you Ortovox for supporting my trip with superb cold weather clothing and exceptional rain gear. Tom, thanks for your posts (and getting involved in this project)! Love the way you allow your quality pictures and neutral reporting tell their own story so it looks like I can travel and see for myself . Great! 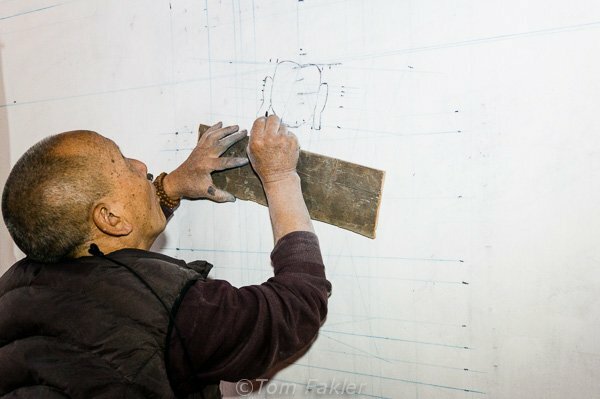 I really loved my time on the Chhairo Gompa project and the opportunity to be the photographer on the project. 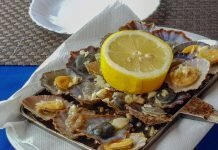 Why don’t you consider joining a trip? 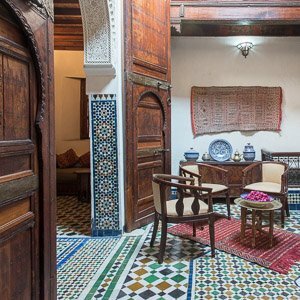 Restoration Works International (RWI) will run more volunteer trips this autumn. Yes Marian there are two trips to Chhairo Gompa next spring the dates are April 14 through 25 and April 28 through May 9. To sign up check out the RWI website. It was a revelation to me how intricate the base drawings are; I also loved seeing how they are put together! 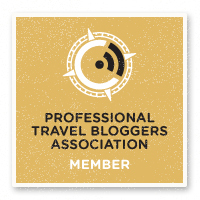 It was a pleasure to contribute, and to see the beautiful work on your blog as well. Thanks for your comment, Noel! Thanks for your comment, Ruth. 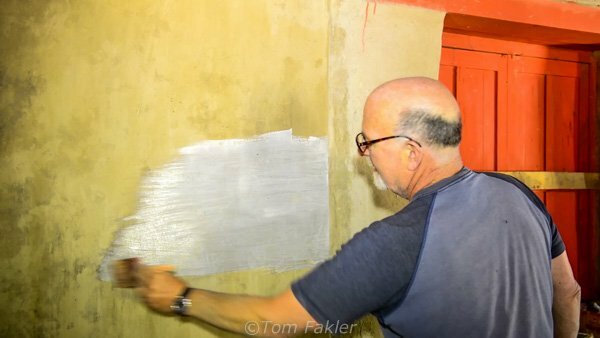 I hope Tom is able to show us the finished wall paintings one day!